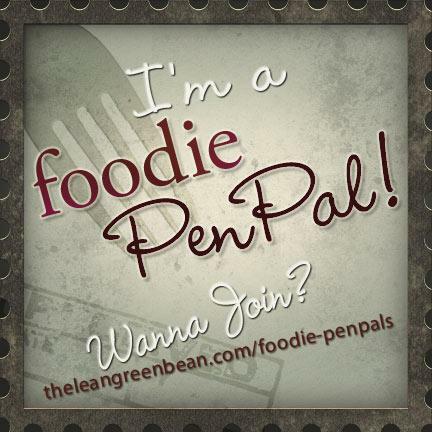 I was so excited to participate in Foodie Penpals again this month. 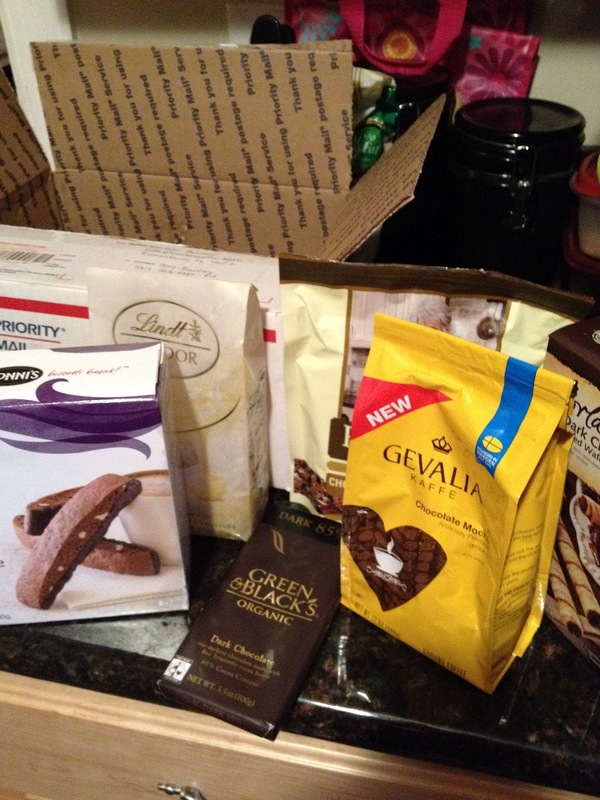 I was matched up with Heather from Indiana, who sent me what I call a “Chocolate Extravaganza” package. Heather is a 23yo aspiring pastry chef with 2 year old little girl. This was her first month participating in Foodie Penpals and I think she did a great job. 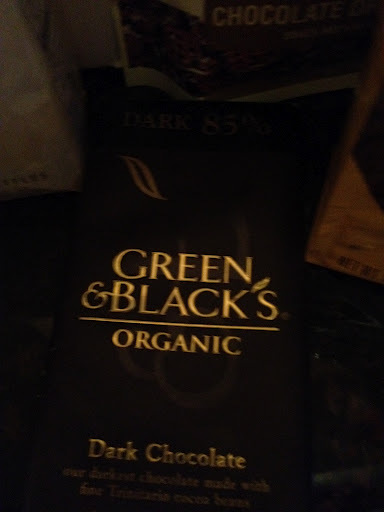 My goodies included Dark Chocolate Rolled wafers, Gevalia Chocolate Mocha Coffee, Lindor White Chocolate Truffles, Nonni’s Decadence Biscotti, Green and Black’s Organic Dark Chocolate (a personal favorite) and a bag of Chocolate drizzle crunch with pretzels, nits and a little bit of spice. Lindsay is so awesome!! Have fun with the pen pals!! It was so fun seeing you yesterday!! I hope we can do it again soon!